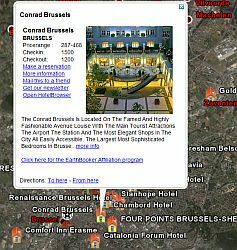 In the United States and the UK you can search for hotels and get some results. However, the rest of the world is not available yet within Google Earth's search. Thanks to the power of the network link and business enterprise you can view 80,000 hotels all over the world. 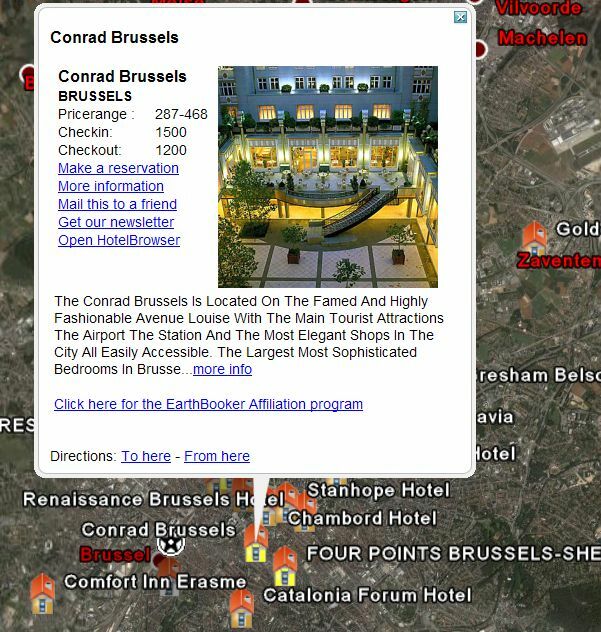 EarthBooker.com not only provides a web site for browsing for the world's hotels, but also a Google Earth network link which they call EarthBooker. This is an excellent application of Google Earth's network link which makes GE a fabulous 3D browser. The application for EarthBooker was developed by GlobeAssistant.com which specializes in writing business applications for Google Earth particularly for Real Estate, News, and Travel. The hotel I'm staying at in San Juan is in the ocean?? I don't think so.